As we bid farewell to the end of 2013, our memories of holiday celebrations, in-laws coming over, presents being given, and blog posts that take a look back on the past year,are settling in. I didn’t want to be left out, so I figured I’d share some of my observations from 2013 that will reverberate over the next 12 months. As an architect who focuses on helping customers virtualize business critical applications, I get to talk to a lot of organizations and see their IT environments and understand their challenges. Over the last year I’ve noticed some very positive signs that tell me the pace of organizations virtualizing business critical applications will accelerate in 2014. Here is my top 5 list of observations supporting that proclamation, in no particular order. You’re a loyal reader of this blog and you know that private clouds are more than just virtualizing your servers, right? I like to think of virtualization as a cloud enabler, but it is not cloud by itself. Private clouds allow organizations to deliver IT as a Service to their users and customers, helping them to be more agile and flexible to changing business demands. In the past year, I’ve seen an increasing number of organizations moving beyond virtualization and adopting true private clouds. I’ve worked with customers that have said, “Our business units – IT’s ‘customers’ – are increasingly looking to cloud solutions from Amazon and Microsoft and we want to be able to deliver the same level of self-service and on-demand provisioning with our internal resources.” These are the customers that truly “get” the benefits of private clouds. As customers move towards private clouds, they’ll naturally want to bring their business critical applications along for the ride. Running these applications inside a private cloud lets organizations enable all of these benefits on their most important applications. 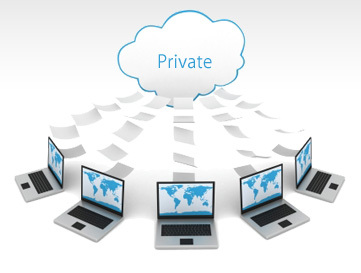 Private cloud adoption should help drive the virtualization of these critical applications. More and more customers I work with have a “virtualize first” policy. That is, all newly deployed servers are deployed as virtual machines unless there is a compelling reason not to. Remember – virtualization can be a cloud enabler, so simply getting business critical applications virtualized can help any business start down the path towards a private cloud. Having this policy shows business owners and application owners that IT is serious about the technology and trusts it with the company’s most important servers. Every year the number of customers I see adopting this type of policy goes up. At VMworld in 2011, VMware talked about “Monster VMs” or virtual machines that have very large resource requirements. These virtual machines needed 32 or more virtual CPUs and 1 terabyte of RAM. With the release of vSphere 5.5 in 2013, VMware has increased the scalability of the vSphere platform to allow for even larger hosts and virtual machines. Servers that were previously considered to be bad candidates for virtualization are now becoming Monster VMs at many customers. As VMware (and other virtualization vendors) improve their products, I would expect to see scalability improvements and even larger monsters on the horizon. Even for those of us who have been involved with virtualization for many years, creating Monster VMs doesn’t seem as unusual as it once did. Along with the scalability of vSphere, server and CPU vendors have kept pace and have produced servers with more CPU cores and RAM than ever before. This has made it much easier to justify creating these Monster VMs and still have opportunities for cost savings. Today, there are simply fewer and fewer reasons not to virtualize these servers and applications. Virtualization and cost savings often go hand in hand, since organizations can reduce the number of physical servers they need to buy. In 2013, many saw the benefits of potential cost savings by consolidation certain applications that are either prohibitively expensive or have favorable virtualization licensing. For example, many customers started down the path of virtualizing their database servers, including Microsoft SQL Server and Oracle, allowing them to consolidate their licensing and make their databases more flexible. I expect we’ll see more of that in 2014 and beyond. There is no doubt that flash storage is disrupting the storage world as we know it today. Flash based storage, such as EMC’s XtremIO, provides unsurpassed disk performance and allows organizations to do more with less. Previously when trying to convince application owners to virtualize their most critical and performance intensive applications, they would often balk at the idea of sharing storage (disk spindles) with other virtual machines. With the rise of flash based storage, this has become much less of a concern. Flash storage can provide performance far greater than spinning disks, almost eliminating storage performance as a bottleneck in the environment. And native features in VMware vSphere, such as vFlash Read Cache, can further help improve performance for certain workloads. Deploying flash based storage for virtual machines can drive down one of the few remaining barriers to virtualizing business critical applications. It’s been a great year for virtualization and cloud in 2013. I expect we’ll continue to see growth in both next year and I can’t wait to be a part of it. I hope you all have a very happy New Year!